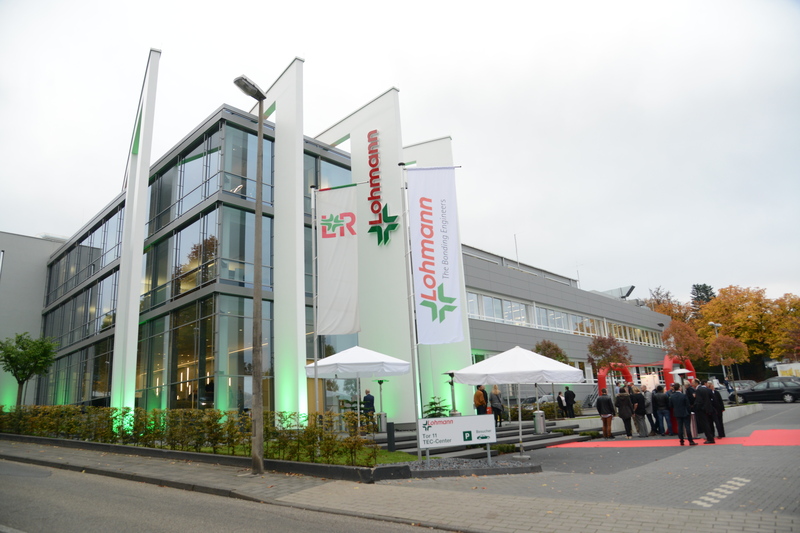 Lohmann has over 167 years’ experience in adhesive technology. We develop, and polymerize over 70% of the adhesives we coat. These can be solvent, dispersion, hot-melt, heat or UV activated, all of which are pressure sensitive adhesive tape systems and more recently structural dry adhesives in a tape which can be activated by heat, pressure or humidity. Lohmann provides engineered solutions to all areas of UK manufacturing, hence its desire to continue to help breathe new life into British manufacturing. Lohmann supplies technical engineered solutions, largely utilising adhesive technology. A large proportion of raw materials come from the parent company in Germany, specialists in adhesive tape design, polymerization and manufacture and from other sources if it is identified that there are more suitable base products to be found elsewhere. This rather unusual approach ensures a measure of market competition and enthusiasm that can sometimes be lost in companies with 160 years’ experience. Not so with Lohmann. The business embraces a genuine desire, running throughout the business, to ensure optimum solutions and good value for customers. Service levels and technical support are high, but we constantly seek to further improve. As a manufacturer of adhesive tapes, Lohmann also offers fully converted materials supplied direct to customers’ required dimensions. We also go a stage further and offer technical advice on how best to present the material in a production environment and have the capability to design and build the machinery to assist in the handling of adhesive tapes in the customer’s own production units. This complete service is from one company, with the skills, knowledge and expertise to deliver and support. We work with manufacturers in transportation, medical, electronics, building & construction and renewable energy markets and are abel to bring fresh thinking from one area to another .